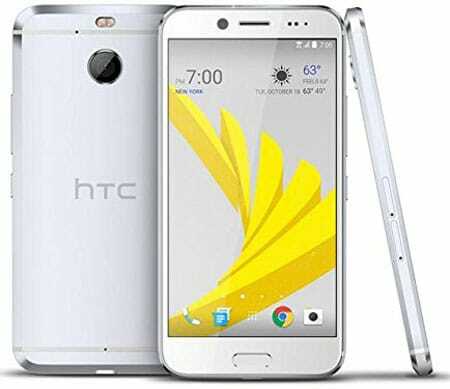 The HTC Bolt is one of the newly released Smartphone from HTC. 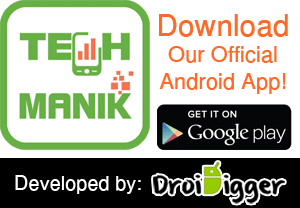 This newly coming phone released on this November and currently available in the market. The Bolt is one of the fastest smartphones from HTC that comes with high configuration and best performance. The 5.5-inch display with Metal Unibody design makes this phone stylish and fabulous. 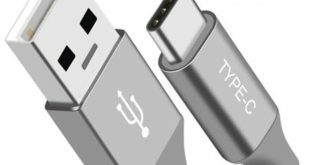 Another most attractive feature of this phone is its USB Type-C dual adaptive earphones. However, if you want to get this awesome smartphone or already buy one, then it’s time to get a case or cover to keep your device safe. 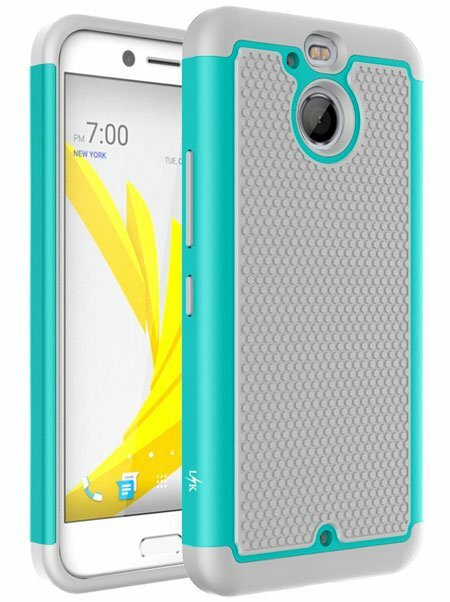 So in this post, I’m going to share some Best HTC Bolt Cases and Covers currently available in the market. 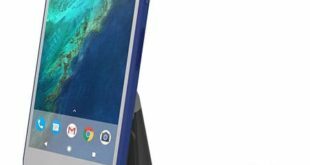 So let’s check my recommended HTC Bolt Cases and Covers to get your favorite one at a reasonable price. 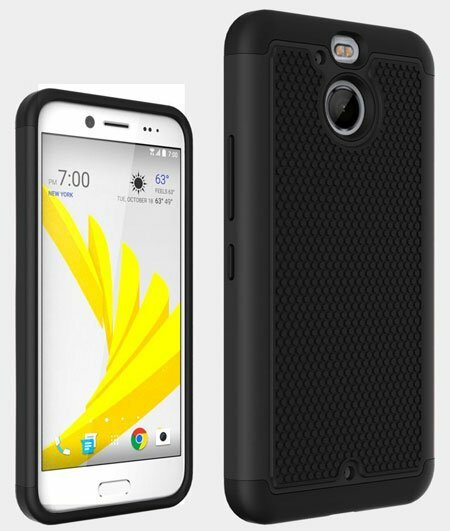 The HTC Bolt Case by MP-Mall is a premium quality case and currently available in the market. The case made of premium quality TPU materials and specially designed for the HTC Bolt. This custom fit design case will keep your device safe from any kind accidental damage. The precious cutouts ensure easy access to all buttons, headphone port, mic, and sensor. The special dotted texture on the back side will keep your device color safe by preventing bubble, dust or dirt. 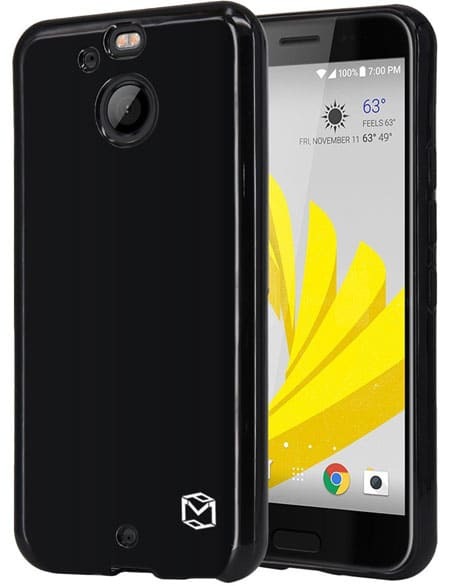 The MP-Mall HTC Bolt case available in Black and Clear color. 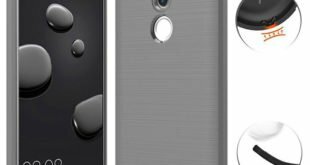 If you are looking for a premium quality case for your HTC Bolt at a cheap price, then the ANLI HTC Bolt Case could be the best one. The case available in 3 different colors and specially designed for the Bolt version of the HTC. This soft bumper case cover will keep your device safe from shock or dump damage. This slim and compact design case will protect your HTC Bolt without adding extra bulk. The back dotted design makes this case compatible to carry. ANLI made this case using Silicon and high-quality plastic materials. 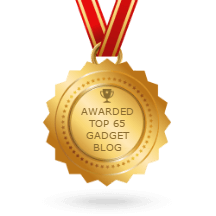 The LK is a renowned brand for Smartphone and tablet accessories. They come with a non-slip grip and hybrid case for the HTC Bolt. The case available in 5 different colors and made of high-quality impact-resistant materials. The raised edge side will keep your device screen safe from the ground. The durable and hardback PC bumper case will keep your device safe from any kind physical or drop damage. The PRECISION cutouts ensure easy access to all buttons, headphone jack, mic, camera, and sensor. Like other premium quality HTC Bolt cases, the Tauri Slim and Flexible case cover also specially designed for the Bolt 2016 version. This case currently available in Stock and you can get it from Amazon at a reasonable price. The Tauri HTC Bolt case available in Black, Smoke Black, and Crystal clear colors. The shock absorbing and scratch resistance features will keep your device safe from drop protection or any kind scratch. 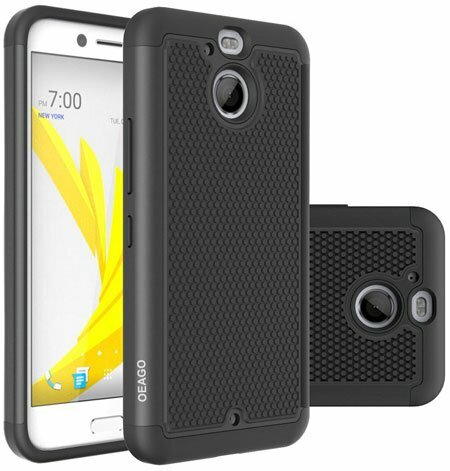 The OEAGO HTC Bolt Case is a very cheap price case available in the market. 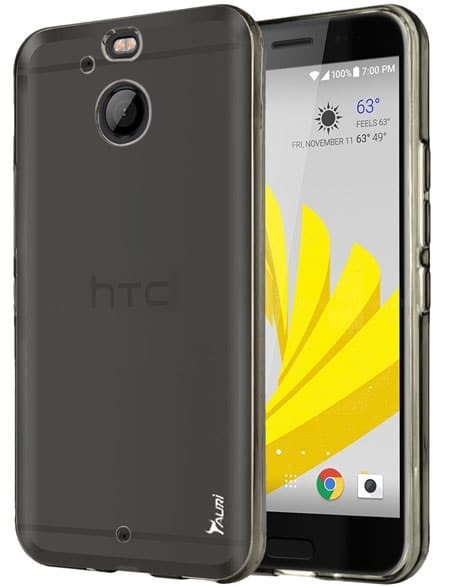 This case only designed for the HTC Bolt sprint version only and not compatible with the international version. The rubberized inner side will keep your device safe from dirt and dust. This also helps to protect the device from scratch and accidental drop damage. As the case specially designed for the Sprint version, so you can easily press the curved buttons and ports. 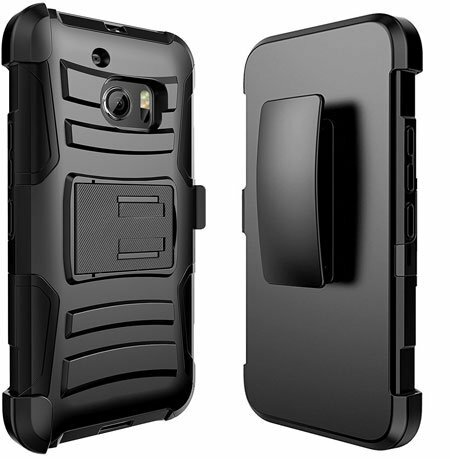 If you are looking for a Hybrid Holster Case to protect your Expensive HTC Bolt, then the JATEN Combo Case is the best one for you. The case comes with built-in kickstand and belt clip. The kickstand is perfect to place your device horizontally while watching movies or browse the web. The belt clip helps to store the device on the waist belt to keep it safe. And the most attractive feature is, the case comes with a stylus pen. The SPARIN is the well-known and most popular smartphone accessories brand. They also come with a crystal clear bumper case cover for the HTC Bolt. But I keep this case below of this list because it will be available in the 2nd week of the December. However, the case also available in Black and Purple colors. Like other premium quality HTC Bolt Cases, this one also made of high-quality TPU materials and ensure maximum protection against physical and drop damage. 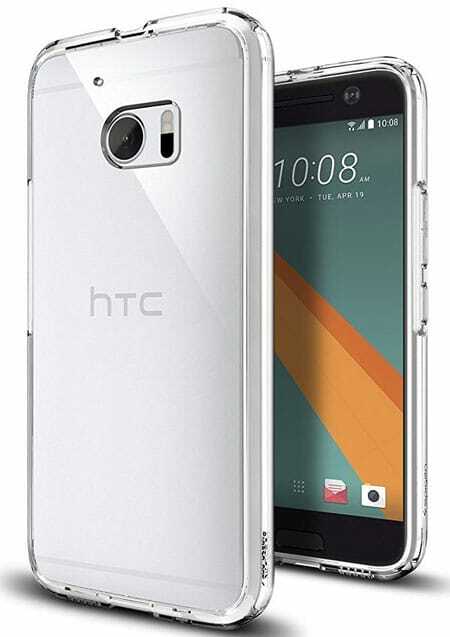 The OMOTON HTC Bolt Case is another crystal clear bumper case cover specially designed for the Bolt 2016 version. This case will be available in the last week of December 2016. The hybrid two layers of this case come with shock absorbing and scratch resistant features. There is also a built-in stand available for comfortable viewing angle while watching movies or browsing the web. Using a wallet style cover to protect your device also a good idea. The NageBee Wallet style case cover made of premium quality PU leather materials. This case specially designed for the BTC Bolt and perfect fit the phone. 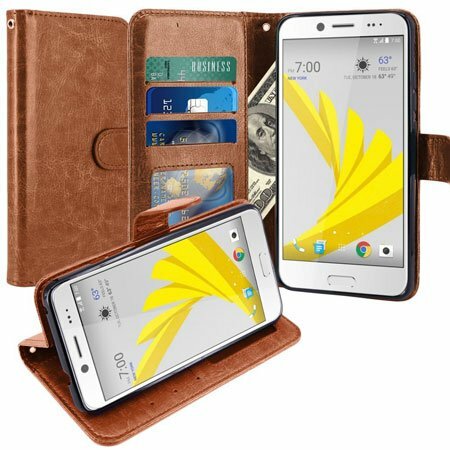 There are several Card slots, one money slot and a built-in kickstand available in the HTC Bolt Wallet Case Cover. 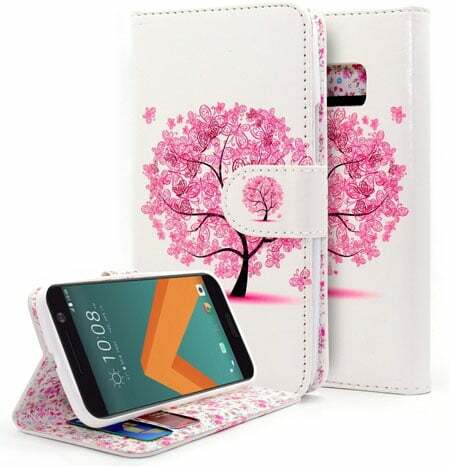 The LK Luxury PU Leather Wallet Flip Protective Case Cover is my last recommended HTC Bolt cover case. This is also a wallet style case that made of good quality PU leather materials. The multi-functional wallet case comes with three card slots, one money slot, and a built-in kickstand. The case available in 4 different colors; Black, Brown, Purple and Rose Gold. Using a premium quality case or cover will keep your device safe as well as increase its outlook. And these are my recommended Best HTC Bolt Cases and Covers. Hope you will find your desired one in this list, if not, please let me know by commenting below.